After facing flak for quite some time from fans and critics alike, Hero Motocorp seems to have pulled up its socks and decided to soldier on. While a lot seems to be brewing in the insides of the world’s largest two-wheeler manufacturer, we focus our crosshairs on two recent events which could have widespread ramifications, and will definitely cheer up Hero fans. EBR chief Erik Buell’s horrendous experience with Harley-Davidson still lingers in his mind, and he often claims that he is not open to any ownership changes in his venture. Sometime last year, MD and CEO of Hero Motocorp, Pawan Munjal suggested that they could be looking at an equity sale. Indian media went gung-ho and speculated an encore a la Bajaj-KTM. However, EBR’s boss Erik steadfastly denied any such possibilities, and disagreed with the Indian media’s claims. The situation seems to be heading for some twists and turns, as Hero has agreed to pour in $25 million into EBR, clamping up 49.2% of EBR. Erik still owns the majority of his company, though only by a hairsbreadth, and it remains to be seen if he can be tenacious enough to ward off future demands for more equity by Hero Motocorp. At the moment, Erik has made clear his stand of not giving up any more control from over his company. 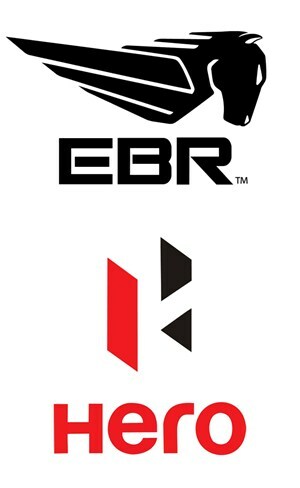 Few days back, Hero’s online campaign involving the EBR racing team had earned a few sniggers, with the cyberspace buzzing with taunts about Hero taking to the racetracks on a Splendor. Right now, it seems Hero Motocorp is having the last laugh with this cracker of a retort. A more powerful Karizma on the cards?? 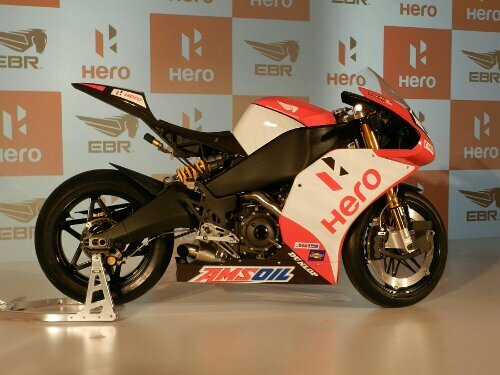 It will be a difficult journey for Hero Motocorp, but it will be eventful for sure. An important term of the pact with Honda was that Hero could not venture out to those markets where Honda had a presence. Well, that just about meant every nook and cranny of the world as the Japanese giant has a massive footprint. Now, as the pact is shattered, Hero’s wings are no longer clipped. The speculations about their future operations in faraway lands have been the talk of Dalal Street, widely accepted as the medium for Hero Motocorp’s turnaround. And that was reciprocated rightly with visibly better sentiment after Hero inked a deal with Indy Motos Group for their Central American tryst. Hero is definitely not looking back and they have set foot on the African continent now. Kenya has been chosen as the suitable entry point, with the setting-up of the first assembly line over there. 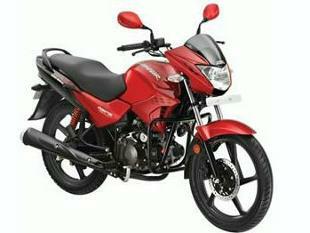 Hero Motocorp has introduced five of its models, including the HF Dawn. The other models introduced are Splendor, Glamour, Hunk and their flagship Karizma. The HF Dawn has been tweaked to fit into the local scheme of things, and Hero has indicated that there will be lot more new models from their stable, which will be tailored to meet country-specific needs. Pawan Munjal, MD and CEO of Hero Motocorp, has stated that they will be making inroads into Burkina Faso and Ivory Coast next week. The other countries which are next in their target lineup are Nigeria and South Africa. 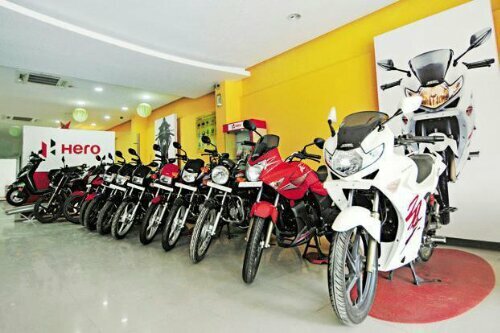 Hero Motocorp has penned high hopes on their international business arm, hoping to clock as many as 3,50,000 unit sales in this fiscal. This number is almost double of the last fiscal’s figures, signalling a quantum jump in Hero’s aspirations. Hero already has a strong footing in Bangladesh, Sri Lanka, Nepal and Colombia. Latin American coutries like Peru and Equador are also appearing as significant blips on their long-term radar.